This year we had 3 more clubs enter than in 2017, taking the total number of clubs that entered to 36 this is a great contribution from our clubs. However, I would still like to see more clubs taking part in this prestigious print competition, it is a great chance to show off the best work your club produces. 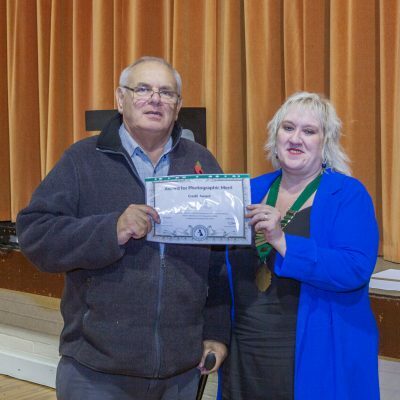 On 10th November, the KCPA opened the doors at Ditton Community Centre, to welcome our audience and fellow club members. As always it was a delight to see some familiar faces in the audience, along with some new ones. Overhearing people’s comments on the images on display was a joy as always, with so many people appreciating the images that have been entered by the various KCPA affiliated clubs. Our judge for this event was Mark Buckley-Sharp ARPS CPAGB APAGB who took only 1 day to judge the images. 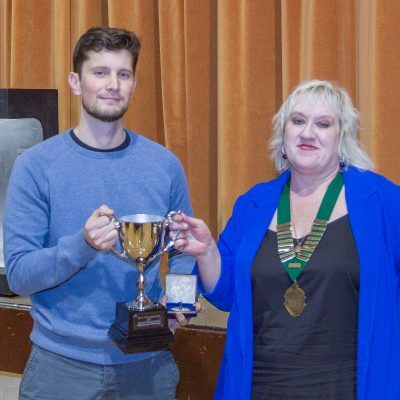 The Ross Cup 2018 competition resulted in the rare occurrence of the Ross Cup being awarded to not 1, but 2 clubs, Beckenham P.S and Maidstone C.C. Representatives from these clubs will go onto represent the KCPA at Blackburn on 27 October at the PAGB Inter-Club Print Championships. Each year I am amazed at the high standard of prints entered and I felt proud to present them to our judge for his selection. I spent a most enjoyable day with our judge Mark Buckley-Sharp and his wife Judy, whilst he scored all the images. 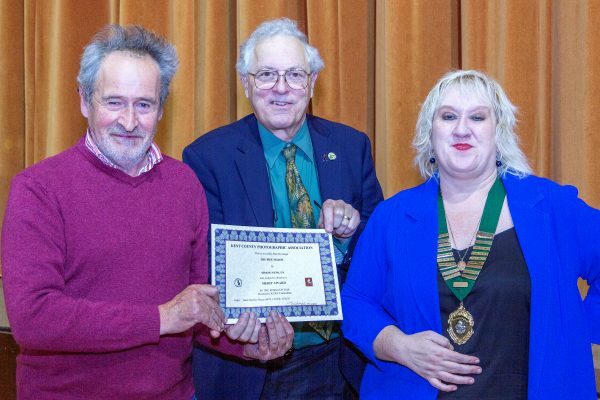 Mark had 288 prints from which to choose a maximum of 10 Merit awards, along with the Premier Award and Mick Smithson Shield for the best print entered and the Lakelands Holidays Landscape Trophy for the best landscape print entered. 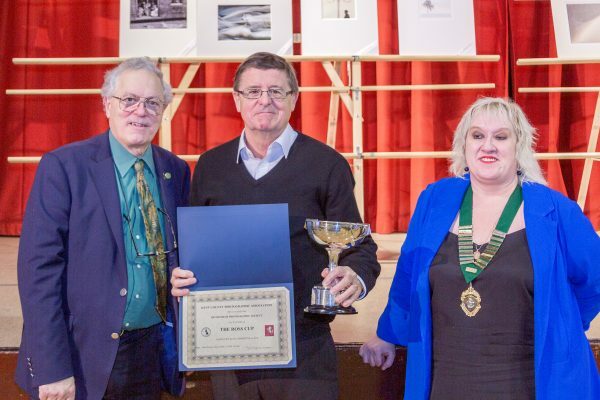 The Ross Cup 2018 goes to joint winners, Beckenham Photographic Society & Maidstone Camera Club who if acceptable to them, will go on to represent the KCPA at the PAGB Inter Club competition in 2019. The KCPA wishes both clubs the best of luck in the competition, I know they will do us proud. 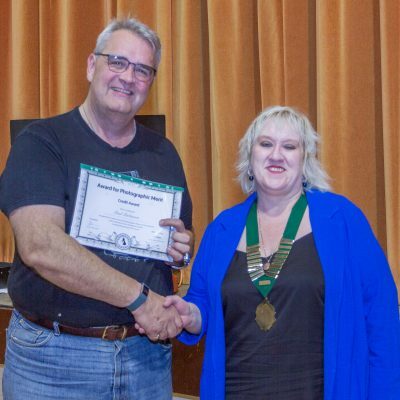 The KCPA would like to thank all the clubs that participated in the Ross Cup 2018, and thanks also go to all of the people that took the time to visit Ditton Community Hall, and view the Prints and hear the comments by our judge Mark Buckley-Sharp ARPS CPAGB APAGB. We hope those that came along enjoyed the event and will join us again for the Ross Cup 2019 competition. from our Judge, Mark Buckley-Sharp and myself, Tracy Hughes. 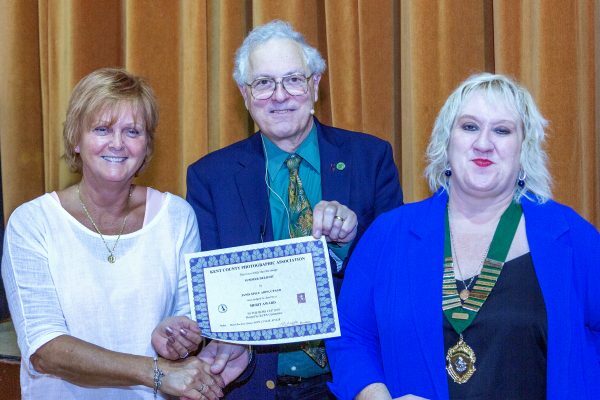 Janis Spice ARPS CPAGB collecting her Merit award. 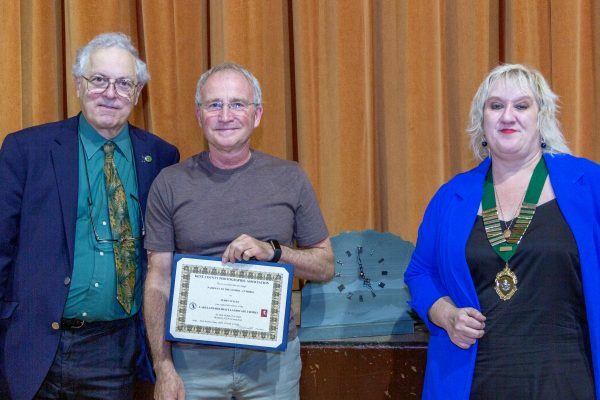 Simon Newlyn, collecting his Merit Award. Terry Scales, Lakeland Holiday Trophy for Best Landscape winner. Well done to faversham & District on winning the Most Improved Club Trophy. Beckenham P.S & Maidstone C.C Joint winners of the Ross Cup 2018 – Congratulations to both clubs who get to share the trophy. Well done to Graham Miles (Whitstable) and Paul Parkinson (Aperture Woolwich) on gaining your CPAGB distinction. The event also gave us the opportunity to display the image titled The Hidden Truth by Stewart McKeown. 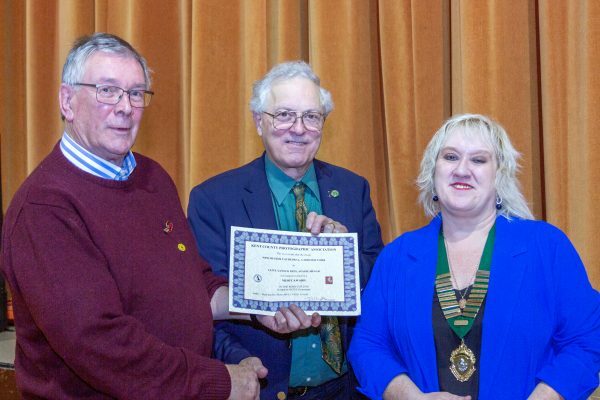 Which was entered by Canterbury P.S in the PAGB Interclub Print Championships in October 2018. 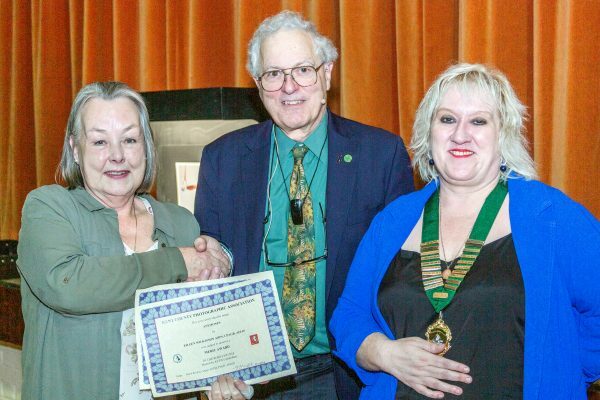 The Awards at the Championships include the trophy and PAGB Medal for Best Mono Print, which went to Stewart McKeown. Well done Stewart and the selection team at Canterbury who selected your image. 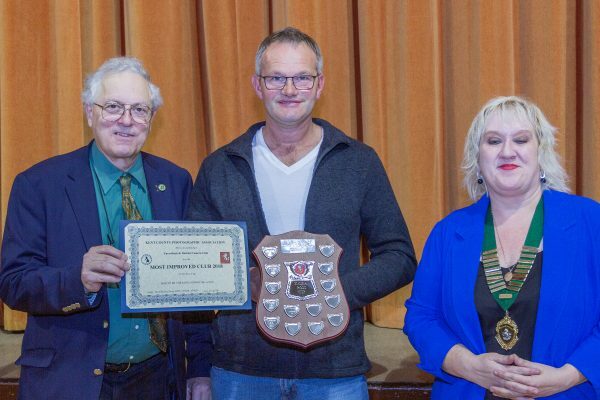 Great to see a trophy has been awarded to a KCPA affiliated club member.